Professional networking is usually called the key to successful career and profession development. It is commonly said that success in practical life is determined not by what you know or whom you know but by who knows you. The level of your success depends heavily on the quality of your relationship with others and depth of your professional network. Research has shown that effective net workers easily switch jobs and have comparatively higher levels of job satisfaction. It is a fact that requests from strangers are responded later than those of the acquaintances and friends. It is important to remember that networking is an investment for the future and not necessarily wastage of time. While you put time to build your network, you are actually saving time when you need to get things done in a shorter span of time. If you are looking for a new job, two pieces of job hunting advice are routinely shared. First, it is always easier to get a new job offer when you are already employed. Second, networking is the best tool to get a new job offer. So what does this mean? It means that you need to create/build and maintain your network while you are employed. It is important to keep your network alive while you are employed because it is easy to connect to people when you don�t need any favor from them. However, if you are jobless and had let your network remain dormant for long, it would become difficult for you to revive this network when you need that. The best time to start networking is �before you need it�. Start networking on a priority basis and you will see results in future. There are certain rules/essentials for successful networking that you need to follow. However, before you start networking, you should clearly know your goals. It is also necessary to learn about the goals of others that you want to network with. You may be able to help them achieve these goals, ultimately bringing both of you together. You may invite others to lunch/tea in order to build network with them. People can�t live on voice mail and email forever. Face to face contact is always more important. You should get a business card and always keep it handy. Handing over your business card is the quickest and most convenient way of giving key your contact information to other people. Don�t leave your home without your business cards especially when you are attending a conference or a networking event. Try to be memorable through sincerity and attentiveness. While you are trying to build relationship with others, be straightforward and sincere in your views. People usually want to associate/link up with confident individuals, so be confident; otherwise they would not bother to connect with you. While networking, people like those with �some opinion� on a relevant subject even if it is different from their own views. However, try not to be arrogant and never try to kill the conversation by speaking too much especially when there is not much left to say. While networking with high profile people, try to find out what they care about and offer your services instead of asking for favors. People don�t gain anything from a person who can reduce him/herself to begging. Rather search for a mentor. People like to look after their prot�g� and take pleasure in guiding someone to success. Make use of the professional social networking websites like LinkedIn that can help you connect with people in your field and build your network. Moreover, try to avoid favored colleagues in networking events because there is no use spending time with those colleagues that you already know very well. While the above mentioned may be considered as the networking techniques (used to create networks), the most important are those techniques which help keeping networks alive. 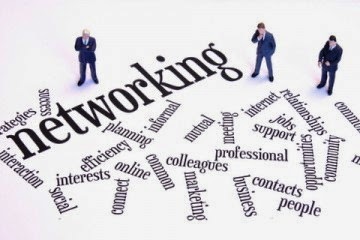 Networking is not just showing up on networking events and distributing one�s business cards. Rather the most important part of networking is �following through�. People usually are not prepared for doing the necessary follow-up in order to maintain the newly created network. Try to grade your network by classifying your contacts in different categories. Some will be placed on A-list, others on B-list and so on. If you are looking for a new job, you should be able to identify certain contacts from your network that can help you in getting that job by recommending you to the senior management. As mentioned above, the biggest challenge is not meeting new contacts but to keep contacts alive over a period of time. Keep your contacts informed about your activities, ask them about their activities, send them a link of an article that might be of interest to them or wish them a happy birthday or even season�s greetings. If you have published some paper, send them a link or post them the reprints. This small investment will pay huge dividends in the future as you keep your contacts informed about your achievements in the field. Try calling or emailing your contacts every other month. You may keep a scheduling system to remind you about contacting your people. Stay in touch with your colleagues from previous organizations and respond to your networks� calls or emails promptly. Seek the opportunities to speak or write on topics that you know very well about. It will increase your visibility in the field and will enlarge your network. To be a great networker, you don�t need to be great conversationalist. You just need to be yourself and sincere. As explained by Christine Comaford-Lynch, you must differentiate between contacts and connections. Contacts are just names and numbers while connections are meaningful relationships that increase the quality of your life. 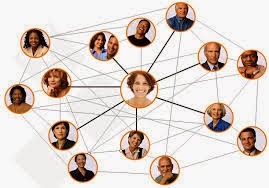 However, connections do take more time in building than just collecting contacts. So, focus on Connections!